Entertain your important clients and guests with our fantastic Everton v Burnley hospitality package. Everton welcome plucky Premier League shock team of the 2017/18 season, Burnley to Goodison Park. After surviving relegation the year before, Burnley finished 7th last season – taking the last European qualification spot in the table. 8th place Everton were beaten in both fixtures against Sean Dyche’s merry men, and Marco Silva will be seeking revenge for Everton this year. We are delighted to be able to offer VIP Everton hospitality packages at Goodison Park for the 2018/19 season. Under the watchful eye of Marco Silva, The Toffee’s have certainly become a force to be reckoned with, maintaining a resilient back line and an attractive brand of fast paced, attacking football. Enhance your matchday with our 1878 Brasserie and People’s Club packages. Whether utilising Everton hospitality for business or pleasure you can be sure to make your day memorable for you and your guests. Come down and support Marco Silva’s side and wear your favourite Everton shirts in one of the Premier League’s best atmospheres. Your package will include a one-course meal and access to a bar exclusive to the People’s Club. In addition to that your executive seats will be positioned behind the goal (Park End stand) with unobstructed views to ensure you do not miss any of the action. If you would like any more information please feel free to call us on 0121 233 6500. The 1878 Brasserie is a popular hospitality facility at Goodison Park for loyal Everton fans young and old. Whether it’s for business or pleasure you can be sure to make your day memorable for you and your guests. I booked the 1878 Brasserie hospitality package through Eventmasters and I was more than pleased with the service. The staff are polite and helpful, the hospitality was excellent with seats to match... and we won 2-1! 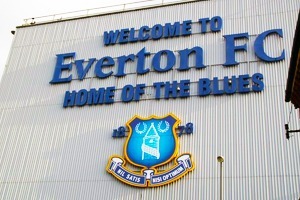 We have a dedicated page where you can view, download and print all of our event information for Everton FC.